Pauline Wesley Wanderer, 83, died peacefully Wednesday, Jan. 9, 2019. Family and friends were by her side. Pauline will be remembered for her perpetual motion and spontaneity, her faith in God, the many friendships she enjoyed, and her driving passion for nature, writing, cooking and peaceful protest. She leaves a lifetime of love, generosity, and inspiration to her children, family, friends, and to those who knew her only through her writing. The daughter of Pauline Raiche Wesley and John Wesley, Pauline was born Oct. 14, 1935 in Marinette, WI. She was raised by John and Vivian Wesley in Green Bay, alongside two sisters. She attended East High School, Mount Mary College (bachelor’s) and the University of Colorado Boulder (master’s). Pauline was editor of East High’s school newspaper and annual, and she was a cheerleader. Her squad also cheered for the Green Bay Packers, who practiced on East High’s field at the time. She was named Miss Bluejay and Miss Baseball, and accepted an offer to screen test in Hollywood prior to attending Mount Mary College. While at CU Boulder, Pauline met and married fellow student Jules Wanderer. They settled in Boulder (and later separated). As a mother, professional writer and antique dealer and appraiser, she split her time between Boulder and Door County, a migration she continued into her final year. Pauline said she felt most at home in Door County. She’d rise with the sun and could be found with a cup of coffee at her typewriter on the screened in porch of the family’s second home. After writing, Pauline walked one of many trails through the woods, ran the sand beach in bare feet, and swam the often chilly waters of Green Bay and Lake Michigan. She prepared meals from locally caught fish and ingredients she foraged during the day. Pauline was the rare cook who could drop into anyone’s kitchen and assemble a superb meal with just the ingredients at hand. This talent informed her life and her writing about food. 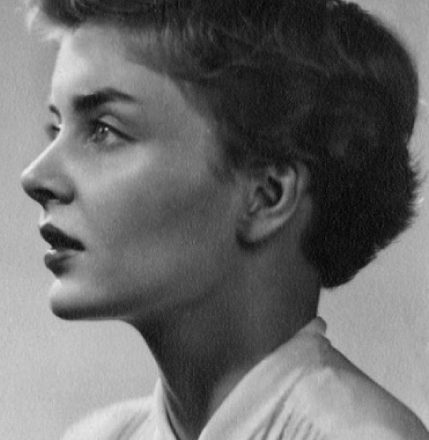 Pauline authored several novels, including Bittersweet Winter and Secret At Death’s Door; two cookbooks; and two popular columns, “The Wooden Spoon” and “View From A Country Kitchen” for “Country Home” magazine (each issue had 8 million readers). Creative her entire life, she placed a recent emphasis on poetry and pastels. Pauline’s love of antiques had roots in early childhood. She said she’d always been fascinated by well-crafted objects with a history. Her passion grew into a career. She rubbed elbows with fellow experts and enthusiasts in the field for over 45 years. Many became close friends. Whether a longtime friendship or serendipitous fast friend, these connections were an essential part of Pauline’s life. These included a remarkable and sustaining friendship that began in childhood, dear friends in Wisconsin, in Boulder, and elsewhere, many of whom were her friends for over 60 years. She remained in contact with these beautiful people into her final evening. Pauline is survived by daughter, Julianne; son, Matthew (Hannah); grandson, Jules; and two sisters, Jackie Van Bellinger and Marilyn Murphy and their families. Celebrations of Pauline’s life will be held in Boulder and Door County in the spring. In lieu of flowers, consider a donation to: doorcountylandtrust.org or TRU Care, an organization whose staff the family can not thank enough: trucare.org.